These units are able to inspect pipes from 75 millimeters (3 inch) to greater than 1,200 millimeters (4 feet) in diameter. 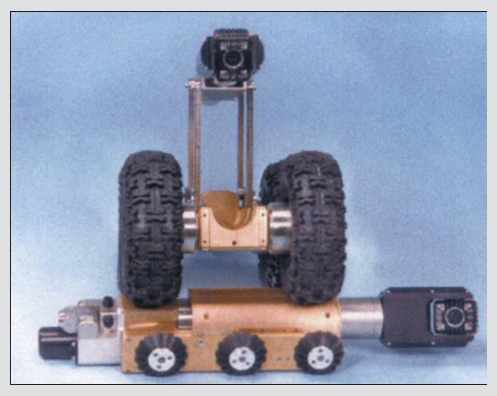 We have units equipped with fixed and pan and tilt inspection cameras as well as large diameter wheeled transporters. 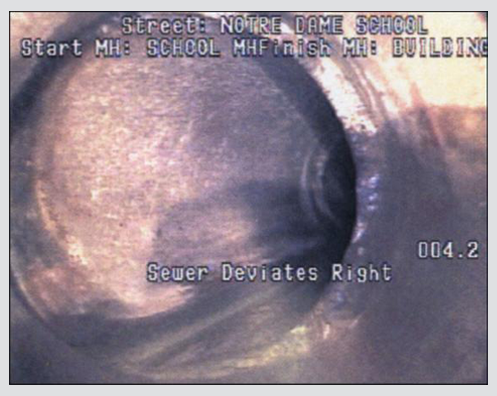 These inspections help to identify pipe defects such as collapsed or broken pipe and to verify repairs. Written reports including digital video and digital data for each inspection, either in CD or DVD format, are prepared. Our staff is certified by the North American Association of Pipeline Inspectors in the use of WRC Sewer Condition Classifications. Our procedures comply with OPSS 409 Construction Specifications for Closed Circuit Television Inspection of Pipelines.